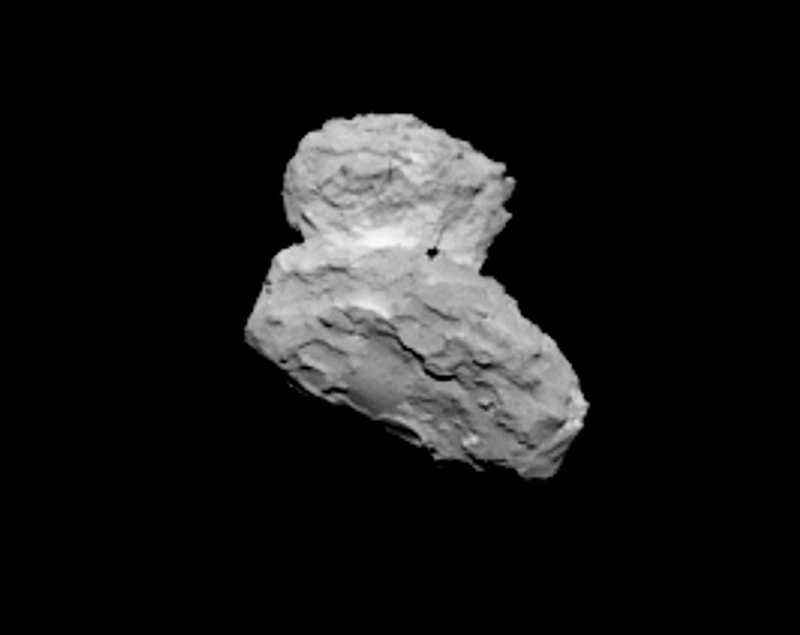 Rosetta, which I've talked about before, is about 2,000 kilometers from the comet it will be attempting to land on. 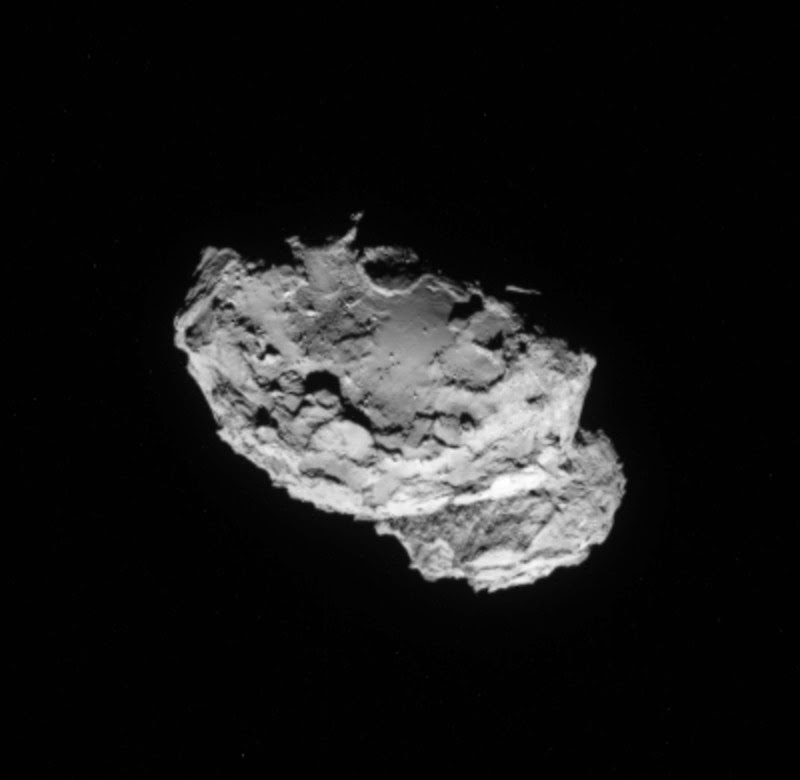 It's a funny shape and has been likened to a floating rubber ducky. 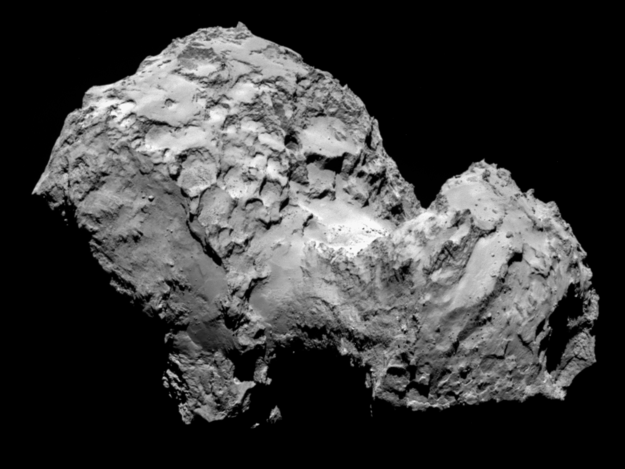 And apparently the neck of the comet is lighter. 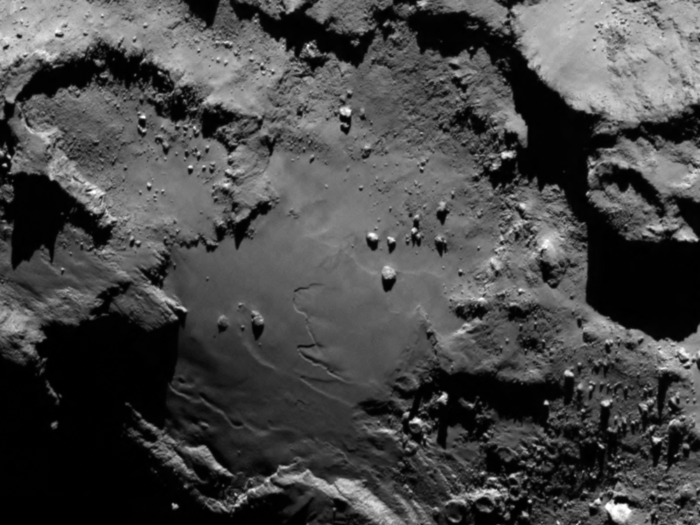 Perhaps it's a different material (that sublimates faster) and explains why the comet is such an odd shape. 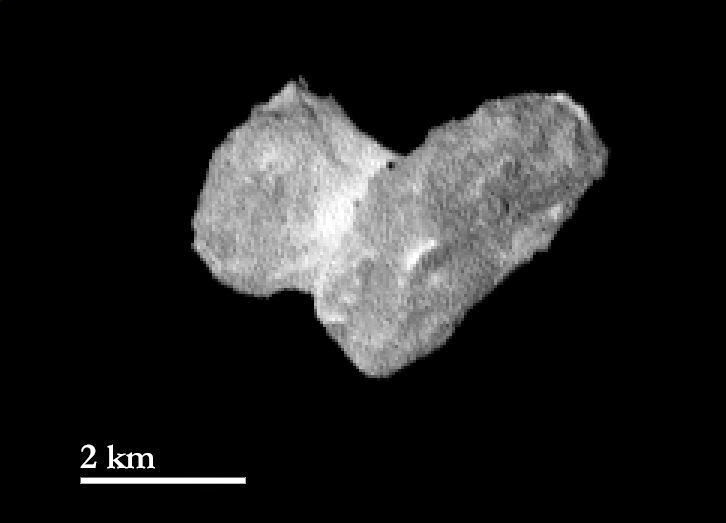 Although it's possible it was impacted into this shape or even formed from two comets sticking together. 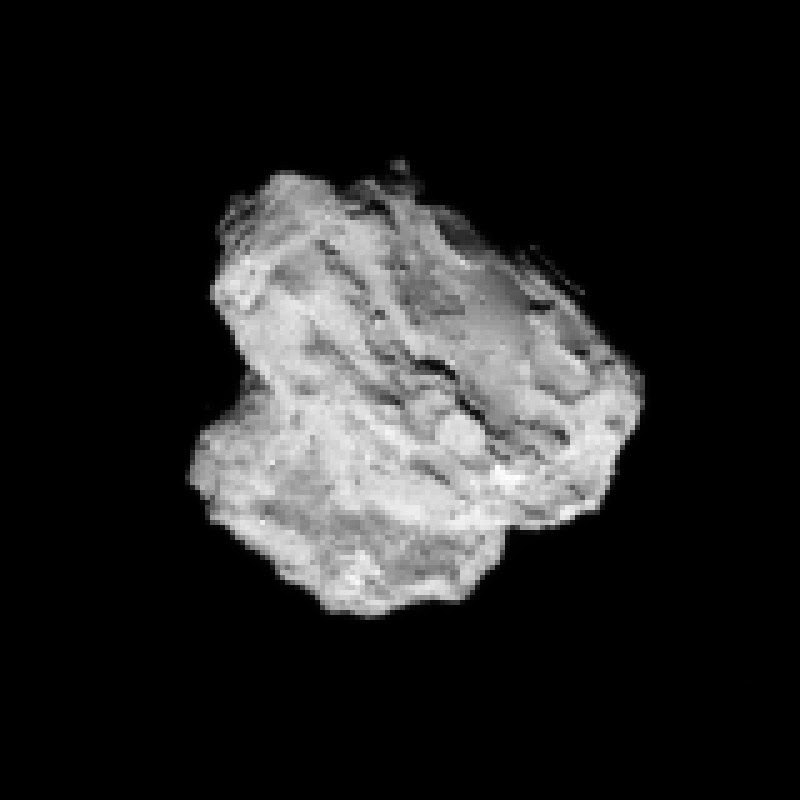 I haven't seen any info on how fast this thing rotates which I would assume makes landing easier or harder. Update: And now it's 1,000km away. New picture.